Home > Questions-Answers > What are my choices for preventive medication? What are my choices for preventive medication? If a preventive medication is the best thing for you to try, then the choice of which medication to try is a decision to be made with your doctor. The information below is provided so that you will have some idea of what is available. By understanding the principles of prophylactic medication use, and by having some knowledge of the available medications, you can be a better partner for your doctor in developing a good treatment plan to control you migraines. The main medications or medication groups used in migraine prevention will be discussed briefly below. This brief discussion is meant as a guide only, as for example, not all potential side effects or dosage ranges can be listed here. Tricyclic antidepressants: These medications the tricyclics are some of the most commonly used migraine prophylactics. Although they were originally developed for depression, they are widely used and effective as migraine prophylactics whether or not patients are depressed. So if your doctor recommends these for you, it does not mean that the doctor thinks you are depressed. In fact, the dosages of these medications that are used for migraine prevention are generally much lower that those used for depression. However, if you do have both migraine and some degree of depression, these medications can help both. In that case, you may need to go a little higher in dosage than is usually done just for migraine prevention. These medications are taken just once a day, about an hour before bedtime or at bedtime. One of their big advantages is that they help to improve sleep, and insomnia is a very common problem in people with migraine. They are not sleeping pills in the usual sense, and unlike many medications used as sleeping pills, it is fine to take the tricyclics long term if that is necessary. The tricyclics most commonly used for migraine prevention are amitriptyline and nortiptyline, although desipramine can be used as well. Like many migraine prophylactic drugs, these medications can cause weight gain in some people who take them. It is wise, therefore to monitor your weight every week after you start them, and to note whether you are eating more than usual. The way they make you gain weight seems to be mainly through appetite stimulation. If you find you are one of those who tend to gain weight on these medications, you can try to control this through dieting and exercise. If the weight gain continues, then the medication can always be stopped and something else tried. Amitriptyline has been the most widely used tricyclic for migraine prophylaxis. It has the most effect on restoring disturbed sleep. However, it also has the most side effects in terms of causing some mouth dryness, sedation, and weight gain. Although these are not usually a problem with the low doses used in migraine prevention, they can be. Should some of these side effects be a problem, one can switch to nortiptyline which usually has fewer side effects. Alternatively, especially if insomnia is not a big problem, one can try nortiptyline from the start. For migraine, these medications are usually started at a low dose, 10 mg a day, and built up slowly. A common schedule is to increase the daily dose by 10 mg every week until a dose of 20 or 30 mg a day is reached. One can go much higher than this, even up to 100 mg a day or in some instances ever higher, but of course this should only be done under a doctor’s guidance. For the treatment to be successful, however, it is important that you do your share. If, as you increase the dose, you develop side effects which you can’t tolerate, it is usually best to reduce the dose and see if a lower dose will not produce the side effects, but still work for your migraines. In the same way, if you are not having any side effects, but the medication is not helping for your migraines either, then it may well be advisable to gradually increase the dose. In other words, the idea is, under your doctor’s guidance, to titrate the dose gradually to determine what dose is best for you. The objective is to reduce your migraine frequency without unacceptable side effects. In practice, the usual reason for patients not to go higher with their dose is the presence of some degree of sedation in the morning after the evening dose. If this does not go away after a few days at a given dose, it may be that you have reached your dosage limit for the medication, and you may need to reduce back to a slightly lower daily dose. Another potential side effect to watch for is some slowing down of the bladder, with incomplete bladder emptying. It is unusual for this to happen with the doses used in migraine prophylaxis, but it is a possibility. Reduce the dose and see your doctor if you think this is happening to you. The beta-blockers: This is a large group of medications that are frequently used for migraine prophylaxis. For many migraine sufferers, this is often the first one tried. If insomnia is a big problem, however, the tricyclics may be better as the beta-blockers do not benefit sleep in the same way that the tricyclics do. Individual medications that are commonly used for migraine prophylaxis include propranolol, nadolol, and metoprolol, although others are used as well. As with the tricyclics, the beta-blockers are usually started at a low dose and built up over several weeks. The dosage depends upon which beta-blocker is used. It is important to understand from your doctor how high you should go with the daily dosage, as a common reason for these medications to fail in reducing migraine frequency is not going to a high enough dosage. The beta-blockers generally cause few side effects. They do slow the pulse somewhat, and this will reduce your ability to do strenuous exercise. If you are a marathon runner or a major athlete, you should likely not go on beta-blockers as it will spoil your competitiveness. Let your doctor know if you are an athlete, as it will influence which medications he or she might prescribe for you for migraine prophylaxis. Beta-blockers can also predispose towards weight gain, so monitor your weight. If you develop unusually vivid dreams while on them and this becomes a problem, mention this to your doctor, as these can be a side effect of the beta-blockers. The beta-blockers can also sometimes cause tiredness and fatigue. If you are an asthmatic, you should not be on them as they can make asthma worse. They are also a problem for diabetics, as they can mask the warning symptoms of low blood sugar. As you can see, it is important that your doctor is aware of your general medical condition when a prophylactic medication for migraine is chosen for you. These medications were first developed and used for the treatment of epilepsy, but were eventually found to work for migraine prophylaxis as well. They all decrease to some extent the excitability of the central nervous system, and this may explain why they make migraine attacks less frequent. These medications are all fairly different, and will be discussed separately. Topiramate has been tested widely for use in migraine prophylaxis through several large clinical trials. It clearly has a positive effect and does reduce migraine frequency for many migraine sufferers. Among the migraine prophylactic drugs, it is almost unique in that it tends to cause weight loss rather than weight gain. It does have a number of other side effects as well, some of which are less desirable. One of the most common is a sensation of numbness in the hands and feet. This side effect is harmless, and is not a cause for concern. It can usually be reduced by taking more dietary potassium, either in the form of potassium rich foods like bananas, or in the form of potassium supplements prescribed by your doctor. Other side effects include tiredness, sedation, and speech problems like word finding difficulty. Some people for example find it more difficult to find the right word while speaking. An interesting example of this is that some find it more difficult to do crossword puzzles while on topiramate. These side effects are common enough that about a quarter to one third of people who try topiramate stop it because of them. Topiramate can also make carbonated soft drinks taste differently and somewhat flat, but most patients do not find this side effect to be a problem, and it is certainly nothing to worry about. Despite its side effects, however many people tolerate topiramate well. There are two other much less common side effects which should be mentioned. One is that topiramate does predispose towards kidney stone formation very slightly. Therefore, doctors don’t usually give it to people with a prior history of kidney stones. All people who take it should drink lots of fluids and keep themselves well hydrated. Topiramate can also on very rare occasions cause acute glaucoma, with increased pressure in one or both eyes. If this is going to happen, it usually happens within a few weeks of starting treatment. Symptoms include marked blurring of vision because people quite quickly become very near sighted, and often pain in the eye and redness of the eye. The blurring of vision in this case is very obvious and persistent, and not the minor blurring which people may experience from time to time, for example if their eyes are watering. If you experience symptoms which suggest you might be developing an eye problem from topiramate, it is time to stop the drug immediately and see your doctor. Stopping the drug is usually enough to let the pressure return to normal, especially if the medication is stopped very soon after the symptoms start, and everything gets better. It is best to see your doctor to make sure everything necessary gets done. Topiramate is started at a low dose and built up slowly. Common ways of doing this are to start off with 25 mg a day, and building up the daily dose by another 25 mg every 2 weeks until you reach the target dose of 100 mg per day. One can go to higher doses as well. In the migraine clinical trials, doses as high as 200 mg per day were tested, but these did not seem to work any better in large patient groups than the 100 mg dose. It is still possible, however, that for some individuals who tolerate the medication well, 200 mg might work better than 100 mg. Another way to start off topiramate is to take 15 mg per day, and increase the daily dose every week by 15 mg until the desired dose is reached. The medication is usually taken twice a day when the higher doses are reached because such divided daily dosing was used in the clinical research on this medication. It does have a long “half life” which means that the body breaks down the medication quite slowly. It is therefore possible to take the medication just once a day and still maintain fairly even medication levels throughout the 24 hours between doses. Some people will just take their topiramate at bedtime so that their blood levels of the medication are somewhat lower during the day. This can help to avoid side effects. So topiramate is worth discussing with your doctor if your migraines are frequent and troublesome, especially if you have already tried and not had much luck with the beta-blockers and the tricyclics, or if you have a significant problem with being over weight. This is another anticonvulsant which has been found in clinical trials to benefit a significant proportion of migraine sufferers. It also has a significant number of side effects. Most of the migraine prophylactic drugs should not be taken during pregnancy, and this is especially true of valproate. It can cause severe malformations of the fetus, so make sure you discuss prevention of pregnancy if you are being prescribed this medication and are in the child bearing years. It also can cause some degree of tremor ,shaking of the hands, hair loss, weight gain, and gastro intestinal upset. However, many patients do tolerate it well, as not everyone gets these side effects, and the medication can always be stopped if they start to happen and are severe enough to be a problem. If there is an increase in hair loss, it grows back when the valproate is stopped. Valproate has also been reported to very rarely cause serious and dangerous liver problems. These are very rare indeed in otherwise healthy adults, probably less than one in several million patients, but your doctor may want to do some blood tests to check your liver function before and after starting the medication. Valproate is usually prescribed for migraine prevention in Canada as the divalproex sodium tablet trade named Epival, which is enteric coated. The medication is usually started at 250 mg once or twice a day, and built up to 500 mg twice a day over several weeks. There is less research supporting the use of gabapentin in migraine. It does seem to help some individuals and make their migraines less frequent, so your doctor may want to try it. The dosages used are quite variable, and the medication is sometimes built up to quite high doses of several thousand mg per day. Side effects, in particular sedation, limit how much many patients can tolerate. Medications in this class that are used in migraine prevention are flunarizine and verapamil. Flunarizine is one of the few prophylactic medications that was developed for that purpose. Clinical trials showed that it helped a significant proportion of patients. It is usually taken at bedtime in a dose of 10 mg. It does predispose towards depression, and for this reason is not usually prescribed for people with a history of previous significant depression, or a strong family history of depression. It is important that individuals on the medication are aware of this possible side effect, so that if they do become somewhat depressed while taking the medication, they can discuss stopping it with their doctor. Like many other migraine prophylactic drugs, flunarizine can cause appetite stimulation and this can result in weight gain. Verapamil is an older drug which has been used for a long time for treating high blood pressure and some heart problems. It is beneficial as a migraine prophylactic for some people with migraine, although not a lot of research has been done on this use of the medication. It tends to have few side effects, but does predispose towards constipation. There are two older medications in this drug class that are used for migraine prophylaxis. One is pizotifen, which tends to have few side effects other than weight gain in some individuals. The other is methysergide. Although quite effective for some people, methysergide has to be used with care, as it can cause a rare by serious complication called retroperitoneal fibrosis. This is a condition where fibrous tissue forms in the back of the abdominal cavity and this can damage the kidneys if it goes on for too long. A similar problem can involve the lungs and heart valves. Although this does sound serious, these complications are rare, and seem to be almost non existent if methysergide is used for only 6 months or less. In patients where nothing else seems to work, therefore, this medication can be tried, and sometimes seems to be the only thing that works for some patients. If it is quite successful, repeated courses of 6 months can be given, with a drug holiday of a month or two in between. 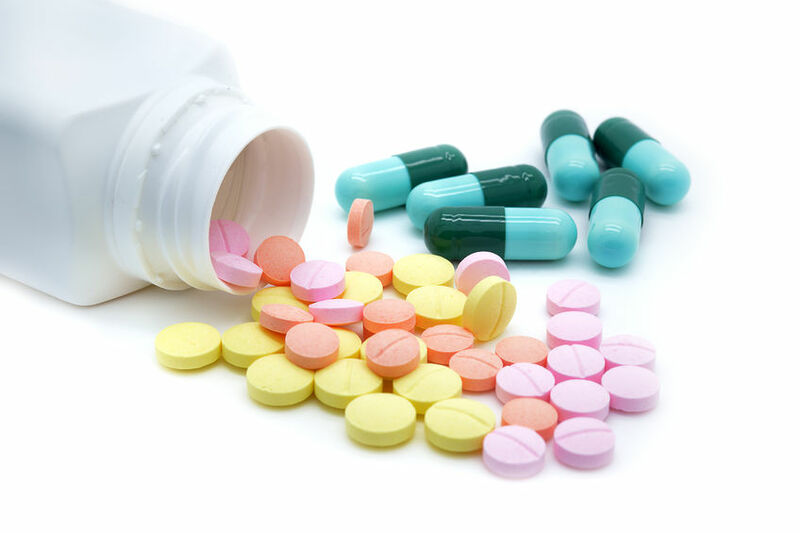 Alternatively, if the benefit of the medication is significant enough, it can be used for longer time periods, and periodic testing can be done to ensure that the fibrotic complications are not developing. This medication is probably complicated enough that it might be time to see a specialist if you need to try it, depending upon how much experience your family doctor has in treating migraine. Botulinum toxin type A or Botox for migraine treatment has received a lot of press. This medication is widely used for cosmetic purposes like reducing wrinkles. For this purpose, it is injected into the muscles under the skin of the face, especially the forehead. Some people with migraine reported that their headaches were diminished after they received botulinum toxin for cosmetic purposes. This resulted in clinical research to prove whether or not botulinum toxin benefited people with migraine. It is fair to say at this point that the jury is still out. When these large and carefully done trials were analyzed, it was found that many people with migraine who received botulinum toxin did indeed have a significant improvement in their headache problem, but so did the people who received placebo (an inactive salt solution, saline, that was also injected into the muscles of the head and neck). For patients with intermittent migraine headache attacks on 15 days a month or less, the improvement on placebo was virtually equal to the improvement seen with the botulinum toxin. In patients who had headache on more than 15 days a month when they entered the clinical research trials, botulinum toxin outperformed placebo on some measures, but not on others. It is unclear why so much improvement occurred in those receiving placebo in these clinical trials. Some improvement with placebo is to be expected in migraine trials as it is in trials of many painful and non painful conditions. The brain’s pain control pathways, it seems, can be activated if patients take something for pain and expect relief, and significant relief occurs as a result in some patients even if they are given something inactive like saline. In the case of the botulinum toxin trials, there are a number of possible reasons why the amount of improvement seen in patients on placebo was greater than in most other migraine research trials. First of all, the treatment was much more dramatic that simply taking a pill. Botulinum toxin is given through over a dozen tiny injections into the muscles of the head and neck. This could increase the response to placebo. Secondly, needling these muscles may in itself have some pain reducing properties, as we see with acupuncture, and with a physiotherapy treatment called “dry needling”. Thirdly, patients may have expected a great deal from their botulinum toxin injections, given the publicity that has occurred surrounding this interesting treatment. In theory, this could increase the placebo response. Fourthly, these were long clinical trials that took close to a year, and during this time patients were seen monthly in the clinic. During this time they may have learned a lot about avoiding migraine from the research nurses and doctors. Many patients also stopped their overuse of pain killers and other symptomatic migraine medications during this time. It is unclear if this happened because the botulinum toxin improved their migraine and made it possible for them to do this, or if they were motivated to do so because of their discussions in the clinic. In either case, stopping medication overuse itself could have led to improvement in many patients. In summary, more research needs to be done with botulinum toxin and migraine, and this is being planned. In the meantime, your doctor may want to try botulinum toxin if other prophylactic medications have not worked or there is reason not to use them. If you have difficult migraine, based on current knowledge and clinical experience, that would seem a reasonable option, but it is indeed important that more research be done. It is also important that migraine sufferers who try this treatment work hard to reduce their medication overuse if they are overusers, and do all they can to improve their lifestyle and discover and avoid their headache triggers. At the present time, botulinum toxin would appear to be an option mainly for migraine sufferers with more than 15 headache days a month. It is also an interesting question as to whether many migraine patients would benefit simply with the injection of saline, salt solution into the muscles of the head and neck as was done in the placebo groups in the botulinum toxin clinical trials. It is unclear at this point how much of the improvement in the placebo groups in the clinical trials depended upon the actual injections or on the expectation that the patients had that there was a good chance they might be getting botulinum toxin even though when they received the placebo injections no botulinum toxin was given. It may be that the expectation of receiving a possibly powerful treatment was the main factor in making the brain turn on its pain control systems. In that case, the saline injections would not be expected to work if they were given as a clinical treatment in the clinic if the patients knew what they were receiving. Botulinum toxin is in some ways not the simplest headache prophylactic treatment. It needs to be injected every 3 months or so, as the effect wears off. It is given by needle into muscles of the forehead, temporal regions, and in the back of the head and neck, and usually this means well over a dozen small injections. Although it is a very powerful toxin (poison), in the well controlled tiny amounts given in treatment, it has very few side effects. If enough spreads down into the eyelids, it may cause drooping of the eyelids which will last a number of weeks, but this is unusual. It may also cause a temporary feeling of heaviness in the neck. Botulinum toxin makes muscles weak because it temporarily takes away some of their nerve supply. After treatment for headache, as after treatment for wrinkles, people will find it difficult or impossible to raise their eyebrows or wrinkle their forehead normally for several months. These are all side effects which may bother some people. Just how botulinum toxin might reduce headache is not known, although this effect likely involves the pain nerves of the head and neck and is probably not dependant on the production of muscle weakness or muscle relaxation. Occasionally patients with migraine who receive other types of medication for blood pressure control besides beta-blockers and verapamil will report an improvement in their migraines. One example is patients receiving candesartan. A clinical trial has shown that candesartan can improve migraine in some patients. Therefore, although not widely used for migraine prevention, it is an option which can be tried. Some plant products have been used for migraine prophylaxis. One of the best known is feverfew, which is sold in many pharmacies. Feverfew has been tested to some extent through clinical research, and it does indeed have a measurable effect in making migraine less frequent, although this is probably less than many of the drugs used in prophylaxis. It is important to recognize that feverfew, although it generally has few side effects, is actually a drug itself, and the active chemical in feverfew which produces the anti migraine effect has been identified. Magnesium may also have the ability to reduce the frequency of migraine in some people, although the research has been conflicting as to whether it is effective or not. Any migraine preventive effect that it might have does not seem to be very strong. However, it has few side effects in recommended doses, and may be worth a try. There are many different forms of magnesium available. One that is absorbed better from the gastrointestinal tract than many others is magnesium citrate. A common dose is about 300 mg twice a day. The B vitamin, riboflavin, has also been tried for migraine prophylaxis. There is some research that supports its use, although its benefit in practice appears to be limited. It has few side effects. The dose that reduced migraine frequency that was used in the research trials was 400 mg taken once daily. This is a high dose, and is about ten times the amount that most people need each day to prevent riboflavin deficiency. You should discuss this with your doctor before starting it. Sometimes some of the non-steroidal anti-inflammatory drugs, like aspirin or naproxen are used daily for migraine prophylaxis. This may benefit some people, but is not widely done. First of all, taken on a daily basis these medications can have significant side effects like gastrointestinal irritation, ulceration, and bleeding. Secondly, unless the dose is very low, there is also concern that in some migraine sufferers these medications can cause medication overuse headache with worsening of the migraine. In most cases, other prophylactic medications should be tried first.